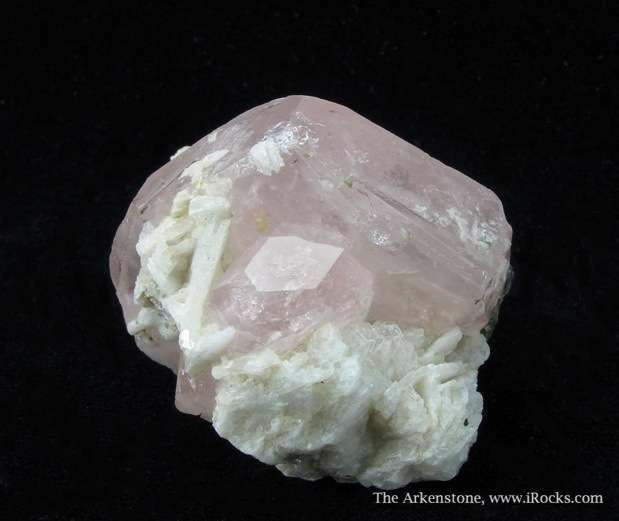 Very good, attractive pair of intergrown pink Morganites from Afghanistan. 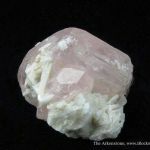 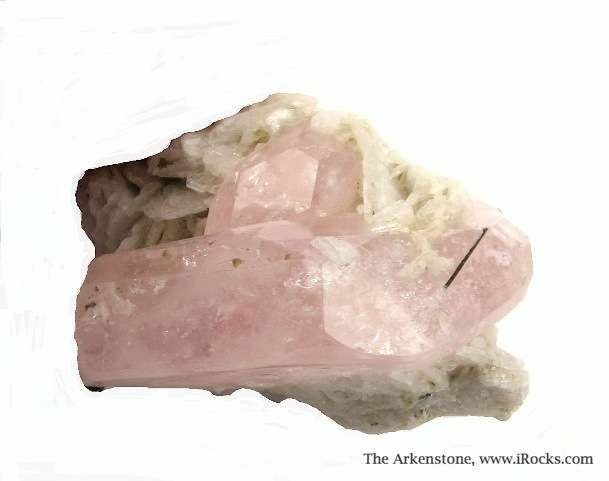 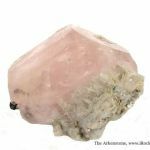 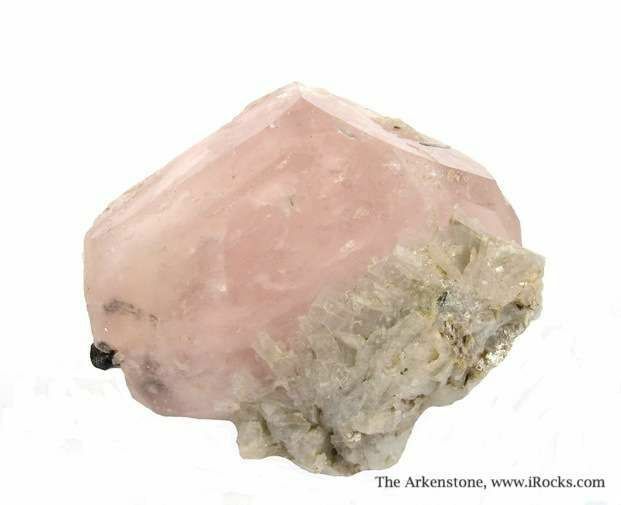 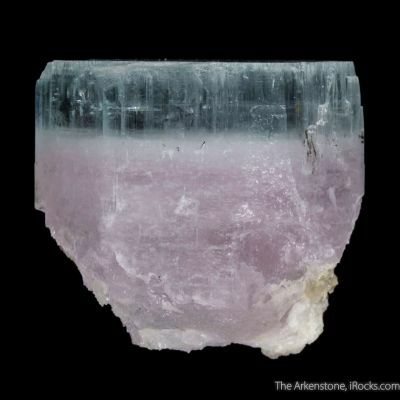 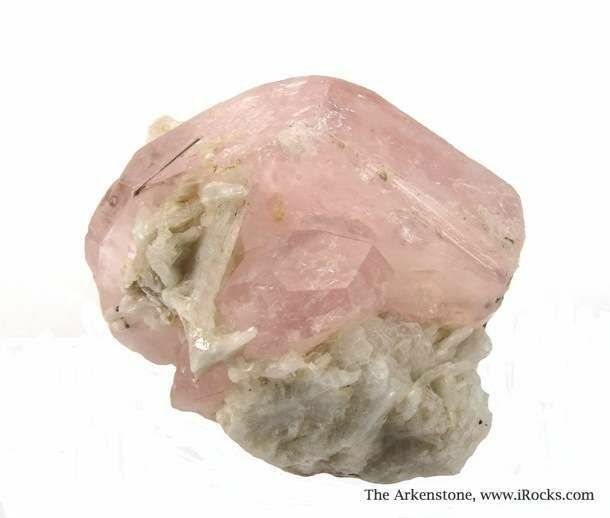 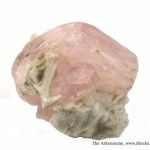 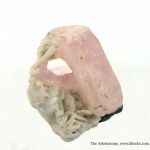 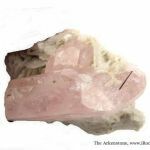 The largest crystal is excellent hexagonal habit, rich pink color, and good to excellent luster. 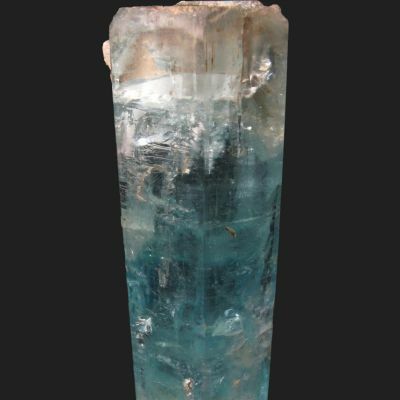 It is 3.4 cm across and partially gemmy. 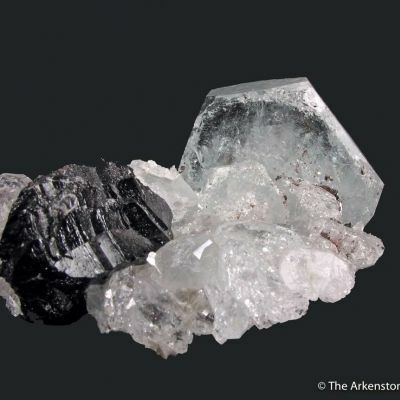 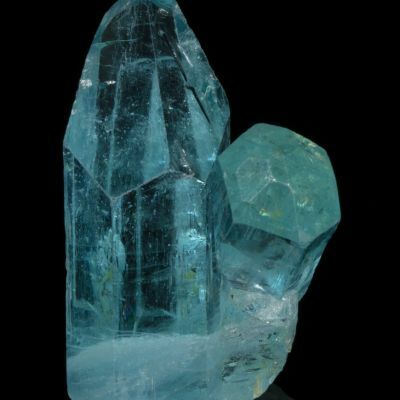 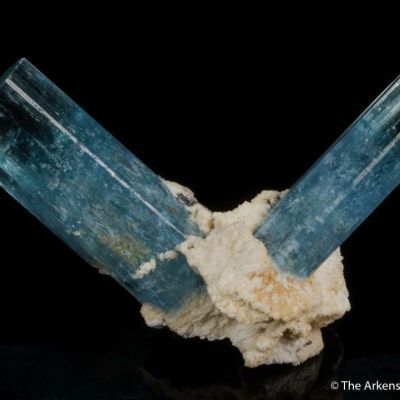 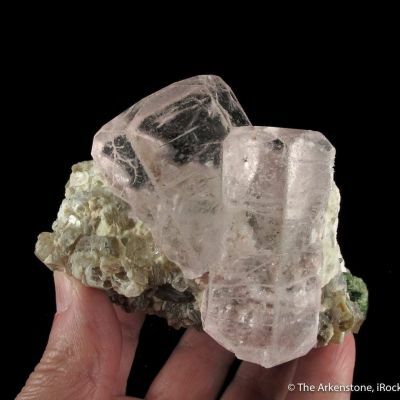 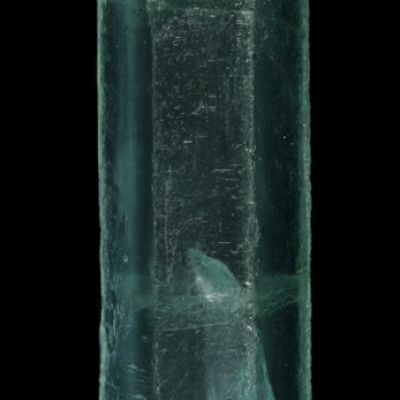 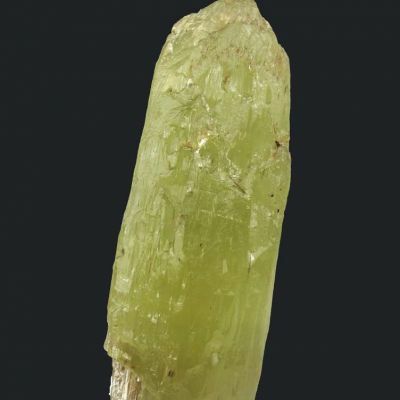 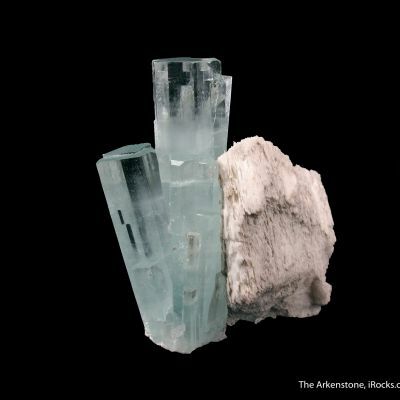 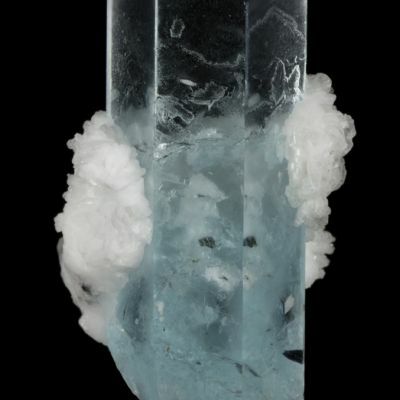 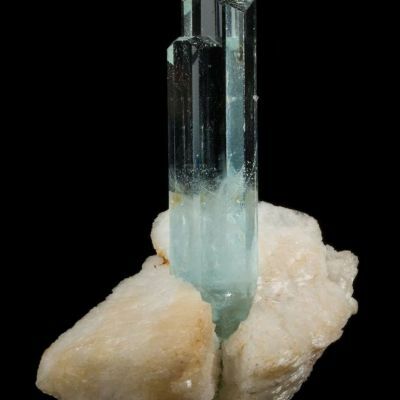 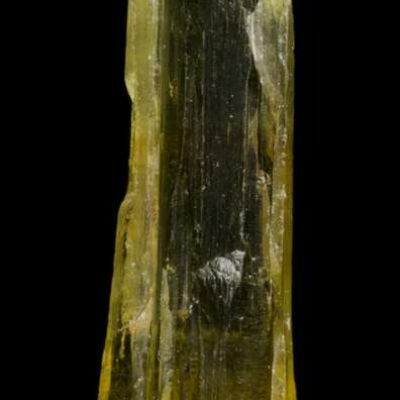 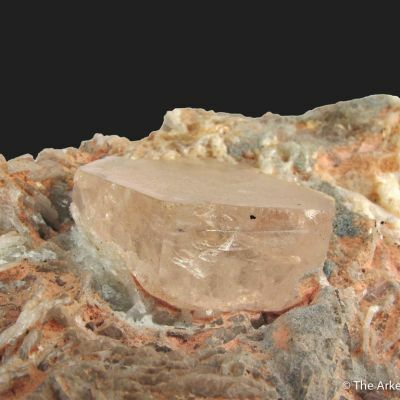 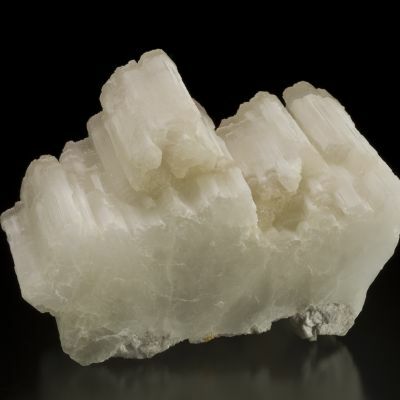 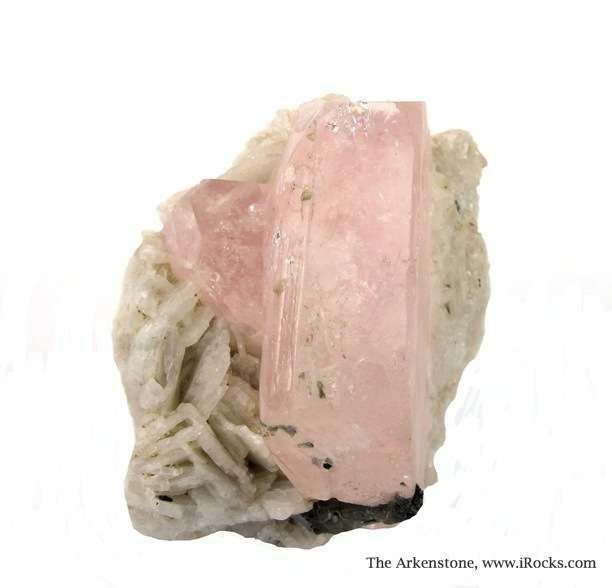 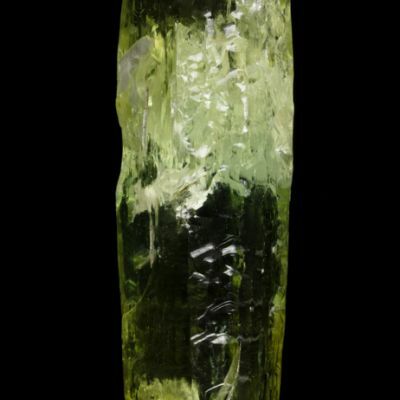 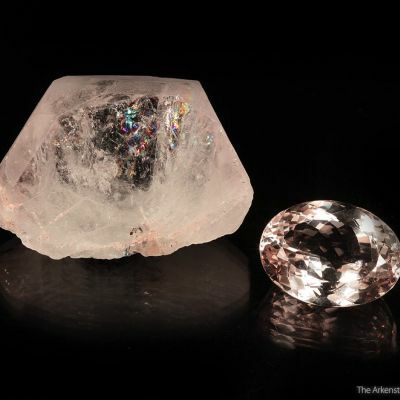 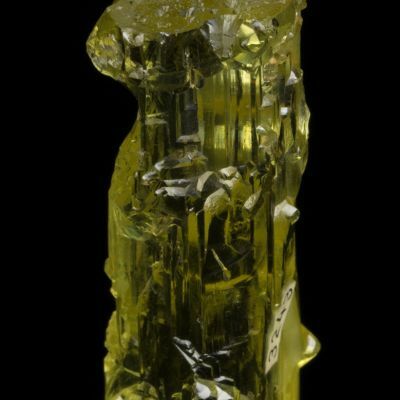 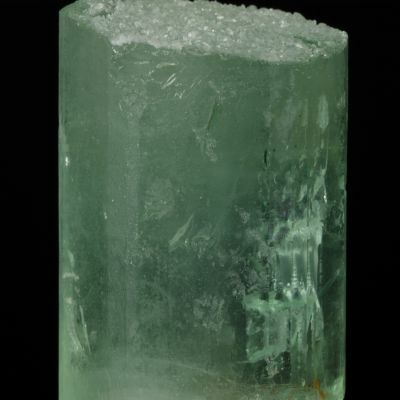 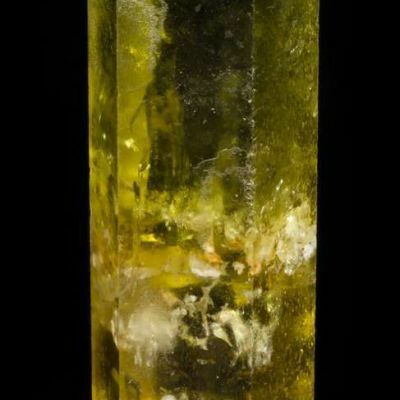 There are also fine, intergrown tourmalines associated with the Morganites. 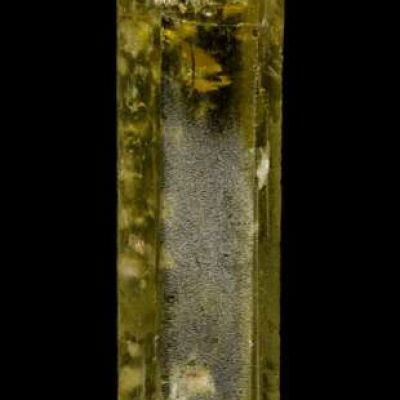 An excellent, representative specimen for both the species and the region.